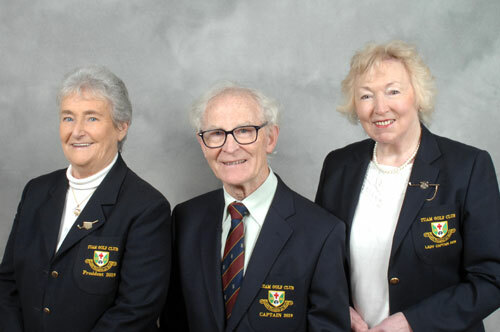 It is a great honour for us to serve as President and Captains in Tuam Golf Club for 2019 and we are looking forward to a successful year ahead. The facilities available at our golf club are one of the best in our vicinity and we are extremely fortunate to have great practice area facilities, golf PRO with a golf shop along with bar and restaurant. The facilities alone though do not make a golf club, and what makes Tuam Golf Club a great one is the spirit of comradery among its members. Since the foundation of our Club in 1904, we are fortunate to have members who, year after year, are prepared to take responsibility for the running of our club. Our hope for 2019 is to see membership continue to grow and we encourage all members to try and introduce people to the club. Or aim is to make the year an enjoyable one for all members and ensure an inclusive approach to golf and social events. We wish all the teams the very best of luck and with the experience and skill of our golfers in both the mens and ladies sections we cannot be too far away from achieving a national title. We wish to thank all members and non –members who support our fundraising activities particularly our Lotto and Am-Ams. A word of thanks to all our sponsors who give generously year after year and we ask our members to support their business in return. Finally wishing you all good health and enjoyable golf for 2019. Sr. Agnes Curley Club President.